Blank bookmarks with rounded corners have a center top hole for yarn (not included). 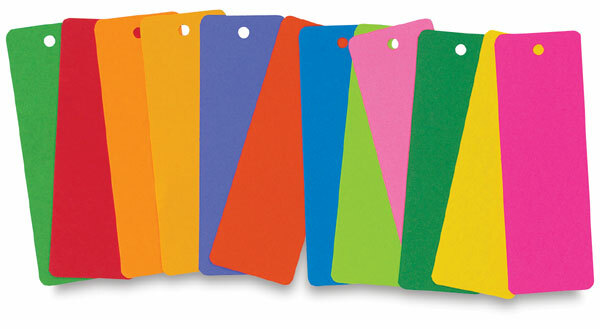 They are made from high-quality, fade-resistant, and acid-free cardstock. Decorate with stickers, markers, paint, glitter, colord pencil, glue, and more. Each bookmark measures 2" × 6". 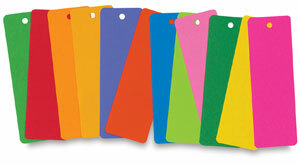 Packs of assorted colors may vary by assortment. There are 100 bookmarks per pack.